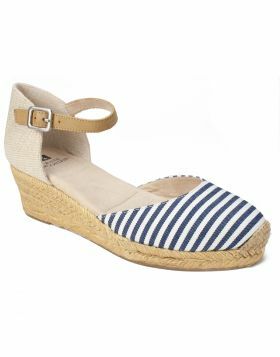 Complete your ensemble with the Casby slingback wedge heel from Rialto shoes. 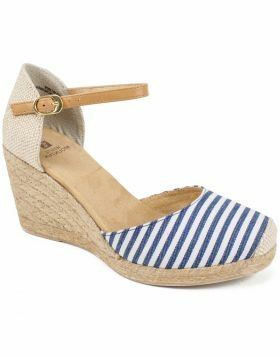 This sophisticated sandal features a cap toe and a laser cut upper with a dainty metal tipped bow at the front. Heel height: 2 1/2 inches.